Whether you’re a first-time parent or you have a bit more experience, your little one is a wonderful addition to your family. During pregnancy, it might be important setting certain boundaries with your parents and your in-laws. Everyone has an opinion and most likely they’ll be trying to make you see things their way. Although well-intended, it can become a little overwhelming to be flooded with multiple points of view. It’s easier to establish clear rules and ways of doing things with your own parents, after all, you’ve been dealing with them all your life and know how to negotiate with them. Dealing with your in-laws however, can be a little trickier since you can accidentally hurt their feelings or make them feel left out. The first thing to do is talk it out with your partner and make sure you both feel the same way about how you’re going to deal with their opinions and level of involvement. • State that you’re following doctor’s orders (they’ll probably be more understanding). • State your position clearly and let it go, there’s no need to get your parents/in-laws to think the way you do. • If they ever overstep, make them know you’re upset and tell them clearly and empathically. • Brush off annoying comments (“he should be….”). Confrontation is exhausting and if it’s not a big deal there’s no need to take it out of proportions. • Never say their advice isn’t welcome. 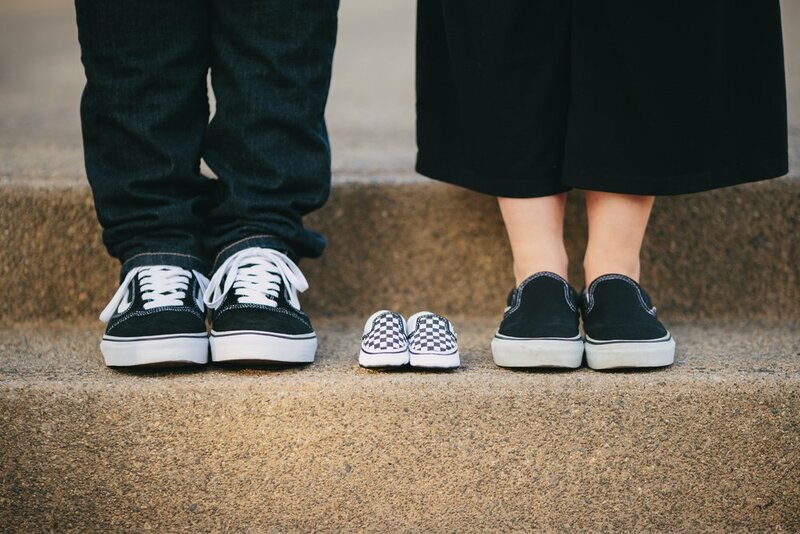 Everyone’s excited about your little one, future-grandparents included! It’s great that they want to help and genuinely care for your baby’s well-being. Make them a part of your support system and set the tone of the relationship that best suits you, your partner, your baby and them. It’s no surprise that many parents worry about how their pet will react to the newest member of the family. Just like any baby, your pet may feel jealous or competitive when your baby arrives. Out of the blue, your pet receives less attention as has changes in his routine, sound and smell. For some it may seem ridiculous, but for all the pet-lovers out there, it’s a huge deal and preparing your pet to ease the transition is something you need to do during your pregnancy. • Safety first. Make sure to take your pet to a thorough veterinary examination, check for infections and get a handle on flea and tick control. • Expose your pet to other babies. Invite some of your relatives or friends with babies, this way your pet can start getting familiar with baby sounds and smells. • Aggressive dogs. If your pet tends to have aggressive displays of behavior and you’re thinking about keeping him outside the house, begin to take him out systematically before your baby arrives. • Have your partner bring an object with your baby’s scent from the hospital, before bringing the baby. That way your pet will recognize the smell and understand who is coming into the house. • Set boundaries around your baby’s nursery. Make that a strictly no pets allowed zone, at least for now. • When your baby comes, however chaotic your life may become, try to establish a routine for your pet. If you can’t take him on daily walks, get someone who can. • Create supervised bonding opportunities for your pet and your baby. You can set boundaries for your pet while teaching your baby how to be around pets. 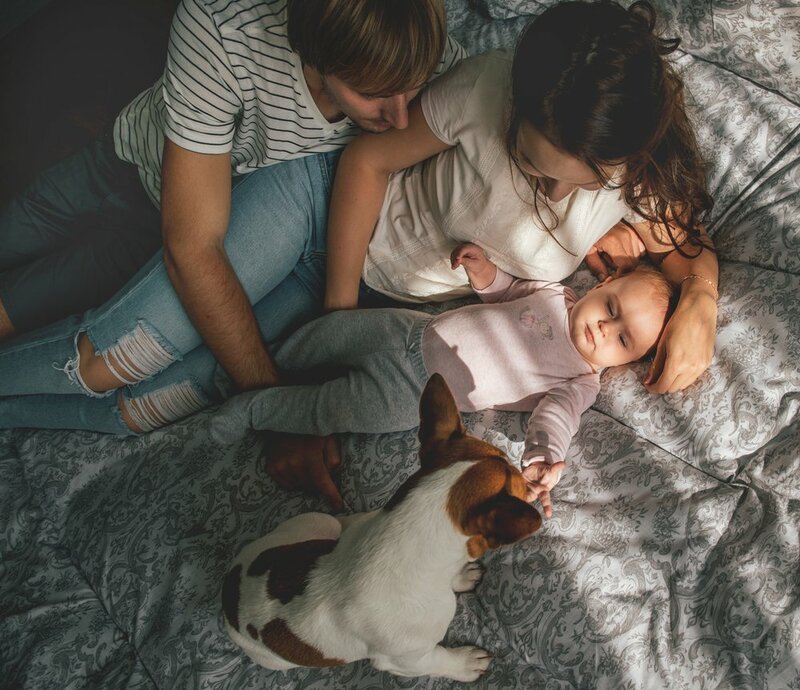 You can always choose to invest on professional training and if you’re not 100% sure that your pet can and will behave around your baby you may want to consider finding him another home prioritizing your baby’s well-being. Should I do a childbirth class? A childbirth class can be a great learning AND bonding experience with your partner. 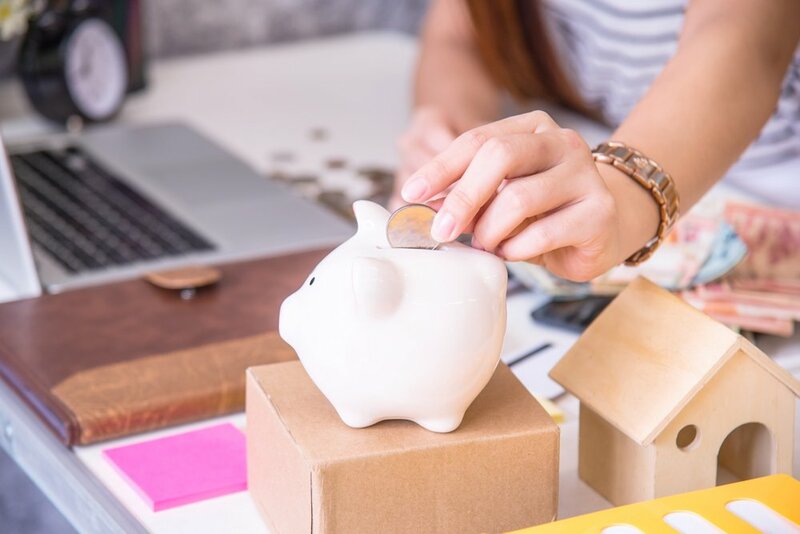 Although many people choose to skip this rite of passage, it’s important to know just how much you can benefit from this experience before you bail on it. You’ll get to learn first-hand what to expect from labor and birth and you’ll get a boost of confidence in what you’re doing (not to mention your partner!). 1. Relaxation techniques to know how to breathe to ease pain and discomfort during contractions and labor. 2. Different labor positions that you can recur to if you need to alleviate pain or speed up your labor. 3. Available pain relief options, pros and cons of each and when and how to request them (you’ll probably learn a bit of this from your doctor but, hey, some reassurance never hurt anybody). 4. Different stages of labor and delivery (making it a little less scary and a little more approachable). 5. Possible complications and how they’ll be handled in case they happen. 6. Caring basics for your newborn baby. No matter how much you read there’s nothing like learning first-hand about their basic needs and tips on how to soothe them, change diapers, swaddle them, etc. 8. Types of medical interventions that may come up, such as C-section or induction. In a childbirth class, you’ll create a bond not only with your partner but with other expecting couples. By going to one, you’re giving your partner an opportunity to become involved, to address his fears (and yours), share concerns and gain the confidence that only comes from knowledge and experience. Throughout the pregnancy, the bucket load of information you receive can easily become overwhelming, and even more so for your partner. Stock up on all the information you can and make sure that the both of you are fully loaded with all the tools for D-Day. • Crib- Choose a sturdy, neutral-colored crib that you can use later on with another one of your babies. You can opt for a crib that doubles as a toddler bed for when you need it (although if you plan to pass it on to your next baby there’s really no point in it). Before making any decisions, check the company’s safety track record when considering which crib to buy. • Crib mattress- Try choosing one that’s firm and light (preferably foam which will make it easier for you to change the sheets or move it around). • Bassinet- These aren’t necessarily considered must-haves but they are nice-to-haves since it’s smaller than a crib and easier to fit in your bedroom for those first weeks. Having your baby sleep in the same room as you can help establish her breastfeeding schedule as well as help diminish the risk of sudden infant death syndrome. Same deal as the crib, safety comes first when choosing the best option. • Baby monitor- Get some peace of mind and stay in the know of what’s happening with your baby at all times. You can find only audio monitors and some with video as well. • Rocking chair- Comfort is key here, try out different options and choose the one you and your partner like the most. If you have other kids or are thinking of having other kids anytime soon, there are some gliders that come with a very handy safety lock. • Diaper pail- although not essential, it can make your life a little easier and help you keep your baby’s nursery odor-free. • Changing table- You can find a freestanding changing table or a changing pad. Both are fine and serve the same purpose, it’s really all about the amount of space you have. If you choose to have a changing table, you should consider one that can later be given another use like a dresser or storage space. These are only a few of the things you may want to have ready before your baby girl arrives. At the end of the day, you’re creating the space your baby’s going to grow up in, have fun decorating and think ahead of all the happy moments you’ll live there! If your baby is joining a family that already has other tiny members, it might be a good idea to start preparing your other children for his arrival. If you’re a first-time parent, this would be a good article to keep for the next time! Each child is different and according to their age they tend to react in a certain way. Below you’ll find tips on how to prepare toddlers and preschoolers. You may find that some tips help your children regardless of their age, mix and match until you find what works best for you and your family. • Talk constantly about babies, get your children thinking about them. • Talk about the new baby, act excited and get them onboard with having another family member. • Include books with babies and siblings into their bedtime stories. • Use the words “sister” and “brother” in everyday conversations. • Get your children involved when shopping for your baby’s clothes, items, preparing the nursery, etc. • Let them feel your baby kicking and moving in your belly. 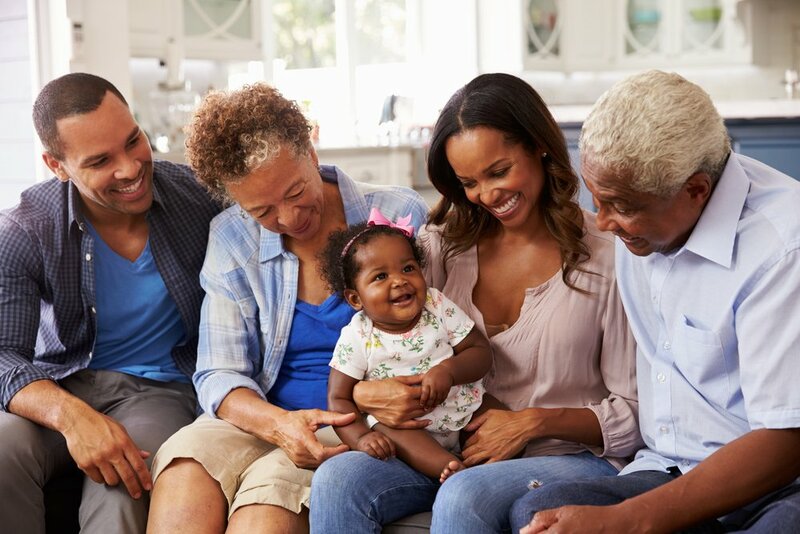 • If you can, visit relatives or friends with babies, that will get your children used to seeing you carry other babies and get a better sense of how to interact with them. • At this age, children can be very attached to their mothers and be sensitive to change. Tread carefully and make sure you’re aware of their feelings and any signs of stress, discomfort or unhappiness. • Include books regarding pregnancy or siblings. • Talk to them about the responsibility that entails being an older sibling. • Describe baby behaviors and make them a part of it, explain what babies can and can’t do, what to expect and how you will need their help caring for the baby. • Before you pass on any of your children’s old things to the baby, talk to them first, let them play with it again. They should ultimately agree to pass it on. Don’t let any resentment start to build up. Avoid any big-life transitions happening at the time of birth. Start potty-training or changing bedrooms beforehand. The more involved your children feel, the more they’ll ease into the transition. It’s easy for them to feel sidelined or left out, so reassure them by making them a part of the process! We’ve covered some ground on parenting styles before, but what happens when you and your partner have different styles and ultimately reach a stalemate? It’s common for clashes to appear when raising your baby, since you both come from different homes and were subjected to different traditions and discipline methods. This is one of the reasons why parenting can easily become a tough job, your child’s future is at stake (but hey, no pressure!). The way to foresee and prevent all of these potential clashes of opinion and conflicts is using one powerful tool: communication. Let’s take a step back and, before you plan the big family meeting and start establishing what should and shouldn’t be done, first analyze your upbringing on an individual level. What were the things that truly marked your childhood? Which attitudes do you feel helped you the most or the least? Which values were you raised with? Which values are you living with right now? All these questions will help you get a better sense of what you feel you should pass on to your children. Have your partner do the same thing. Once both of you have established what you want for your children and how you think you can make it happen, begin to compare and find a balance blending together different styles and making them work. Without any arrangement or cooperation, it can be hard for either of the styles to work separately. In fact, it can be very frustrating if you don’t join forces and start parenting as a team. You don’t have to work out everything right this second, but it helps to get a clearer picture of how you will handle some important milestones. Reinforce the idea that you both hold the responsibility in your hands, you both have an equal say on how your baby should be raised and that both of you are interested in what’s best for your little one. Don’t let insignificant disagreements tint your relationship, aim for compromise and don’t sweat for the small stuff! We’ve heard a thousand times about the different parenting styles that are out there, maybe we even encountered first-hand a great parenting hack at our local Starbucks. With so much information out there it’s easy to get a little overwhelmed. However, just remember that the most common parenting styles are authoritative, authoritarian, permissive and neglectful. The parenting style you and your partner finally develop plays a big role in determining the kind of environment your child will grow up in. The authoritative style is defined as being warm and responsive, setting clear rules and expectations, being supportive and placing great value in independence encouraging the child to become autonomous. The children whose parents adopt this style tend to have high-academic performance, better self-esteem, good social skills and, according to some studies, lower delinquency rates. On the other hand, the authoritarian style is characterized by strict rules and their reinforcement, strict discipline, unresponsiveness, high expectations and control through punishment. 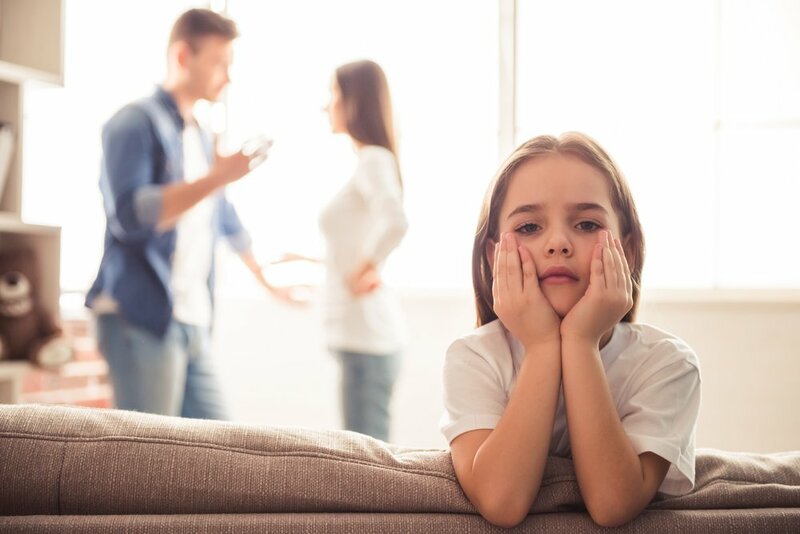 The children whose parents adopt this style tend to have lower academic performance, lower self-esteem, poor social skills and, according to some studies, may be associated with substance abuse and delinquency. The permissive style is emotionally warm and responsive, it has few or no rules at all, they’re reluctant to enforce discipline, have trouble saying “no” to their children out of fear of disappointment. The outcome associated for the children includes impulsive behavior, egocentricity, poor self-control, poor social skills and problematic relationships. The last style is the neglectful one, in which parents are cold and unresponsive, there are no rules, they’re not involved and are indifferent to their children’s needs and wishes. Consequently, the children tend to exhibit impulsive behaviors, low emotional intelligence, substance abuse and delinquency. Although there are cases and exceptions regarding cultural background and temperament, it comes as no surprise that the authoritative parenting style has the most positive developmental outcomes in children. When thinking about the specific needs for one child (everyone is unique), you can stick to the same parenting style and simply try out different approaches. A big part of having a newborn is all the new chores that come with her. Sharing or not the chores, both household and childcare, with your partner has the potential to strengthen or break your relationship. Different studies present different percentages, but on average more than 50% of couples became unhappy during the first three years of their baby’s life. The question is, what can we do to master the transition into parenthood and be able to cope with the struggles of being a full-time parent? Finding a way to successfully navigate through the stress includes avoiding the battle of the chores. The degree to which the household chores are shared or at least perceived as such tends to be a direct predictor of relationship satisfaction (especially for women). In order to allow your baby to take center-stage, you must first make sure every loose end is tied backstage, and that includes the housework. When dividing the housework, set your priorities with your partner and discuss what is important for each of you. You’re both different so, when you start deciding who does what, take into account what each of you would enjoy doing the most. A list of the absolute no-no’s for both of you is helpful as well. If you both hate one of the chores, take turns or figure out a way to get it done fairly. Take into account the other person’s schedule, don’t force a chore or base your list on unrealistic expectations. 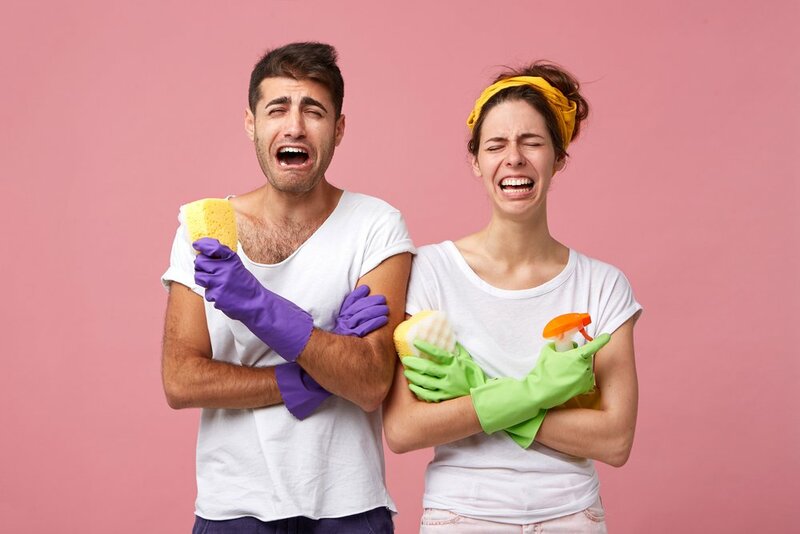 As a couple you’ll face many struggles, but know that the less ambiguity exists in your household and baby chores, the less likely is that resentment and tension will take root in your relationship. At the end of the day, the list is a contract, one that may be edited, broken and discarded. The take-away from this article is to find out what works best for you, talk it over with your partner and give it a try. Worst case scenario, the list fails, you ignore it and find another way to make it work. The important thing is you both agree on how things will get done once your little makes her debut. A big part of babyproofing your relationship includes the division of labor. In case you’re still hesitant, a baby means a ton of new responsibilities and chores. It’s nice to think we can do it all, but the truth is that, more often than not, we need a little help. Every single chore matters. There’s a growing amount of research that stipulates that the resentment many couples begin to feel when their babies finally arrive is more common than not. When a simple thing such as who’ll take out the trash has the potential to derail your relationship or create a conflict, you get the importance of establishing roles and responsibilities in your household. Resentment can go both ways, you can either feel like you have the world on your shoulders and your partner is not doing anything or your partner can feel sidelined and left out. To help lessen the probability of either scenario you can start by making two lists of chores (baby-related and household related). Be as specific as you can, maybe even establish the day when a certain chore needs to be done (bathe the dog on Saturday, for example) and together work out who will take care of what. “Thank you!” and “Great job!” go a long way. Those small acts and words of gratitude or appreciation will make your partner feel more confident in what he is doing and he’ll want to get more involved and help out in any way he can. You can also plan ahead and schedule a job-switch, one day where the baby’s the other person’s complete responsibility. Except for feeding, your partner will get to spend the whole day bonding with your little one. Finally, you can schedule “meetings” once a month where you and your partner discuss how you’re feeling, if there’s something you would like to change about how things are being handled, and possibly make changes to the list of chores as your baby grows up and his needs change. Having a baby takes two people, and no one knows and understands your relationship better than you, so work out with your partner possible scenarios along with their solution, and keep strengthening your relationship for when your little one finally arrives.